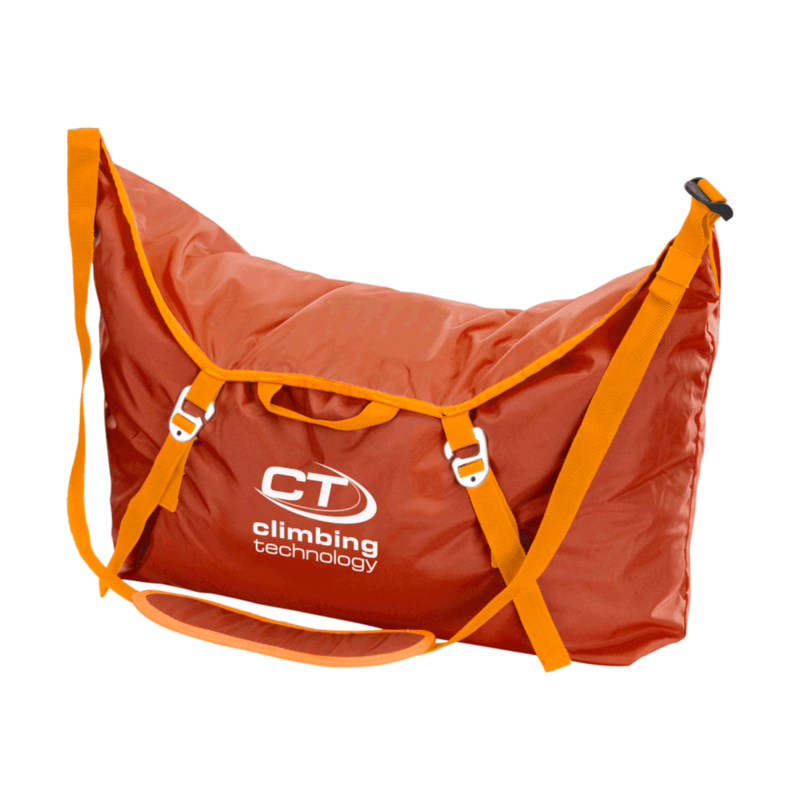 The Climbing Technology City Rope Bag is a simple, practical 22L rope bag, large enough to carry an 80m rope plus quickdraws, with a comfortable single adjustable padded shoulder strap and a large integrated protective tarp measuring 110 x 150 cm. Features include two loops for tying the end of the rope to, two handles to carry it by hand, fast and easy packing of the rope inside the tarp, and two compression straps to pack the rope as small as possible, with robust yet light aluminium buckles. Highly Recommended in UK Climbing rope bag review.